Tumblr is one of the best platforms to express your thoughts in the best way. You can bring in pictures, links and many other things to make your Tumblr posts amazing. In fact, Tumblr isn’t a dedicated platform for blogging. On the contrary, it combines the feature of a blogging platform and something like Twitter. As a result, you may have some troubles with Tumblr if you want to publish a lot of content. And, you might be looking for other sites like Tumblr. Don’t worry, though. There are many sites like Tumblr that let you create and publish your content without all the fuzz of code. To help you there, we have created a list of the best alternative sites like Tumblr you can find. So, the next time you think Tumblr isn’t suitable for your requirements, you can try any of the following services. Most of Tumblr alternatives are much more powerful and feature-rich. Shall we move on to the list of the top 10 best sites like Tumblr, then? Some of the recommendations are fully-fledged blogging platforms while others are more or less like Tumblr platform. Either way, a better expression is assured for you. So let’s find out the best sites like Tumblr. Blogger is the best choice when you need better control on what you publish. It’s a blogging platform, from Google. You can use the service, completely free of cost and create a blog with the .blogspot extension. One thing to be noted about Blogger is its top-class integration with Google Services like AdSense. At some point, if you want to monetize your blogs, you can do that from the same account. It also happens to be one of the most used blogging platforms in the world of Internet. Plus, you do not need to know the code for publishing content via Blogger. Weebly is another way for a hassle-free online content publishing. It’s one of the best sites like Tumblr you’d love when you think Tumblr isn’t enough. 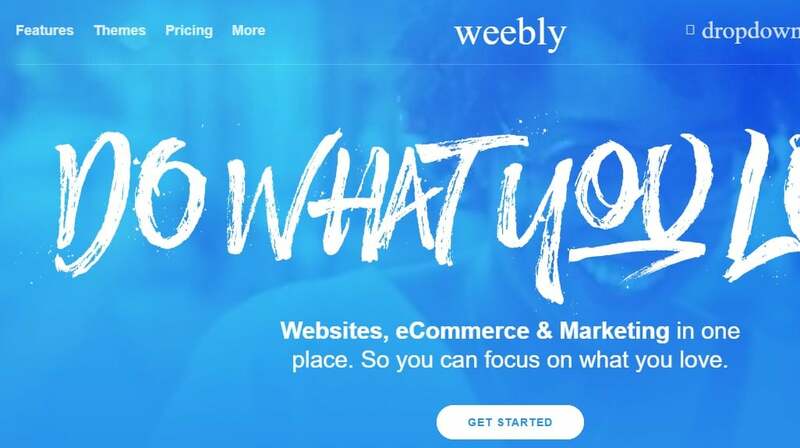 Weebly is an online website builder, and you can create any website by dragging and dropping elements. There are different layouts and effects available. In the free version, you can have a .weebly.com domain extension. There are options to purchase a premium package and get more features. Despite all these, it feels like a charm to present your favorite content in the best way when you are with Weebly. In the third position, we have WordPress.com, which is the commercial version of WordPress CMS. Unlike the wordpress.org alternative, WordPress.com does not require web hosting or technical knowledge. You’ll be able to create a free .wordpress.com blog and publish content on it. Of course, there are limitations. It’s offering a bunch of advanced features if you are ready to purchase the premium package. One thing about this Tumblr alternative is the huge-enough community. You can find and answer different doubts in a matter of seconds. You should go for this if you need better control and an easier blogging environment. Are you looking for a simple site like Tumblr that can help you create superb web-pages and designs? Then, SquareSpace is a worth considering platform. It does not offer a free package, but you can get a free trial. Using Squarespace, you will be able to create different types of web content — including Blogs, Online Store, and Landing Pages. 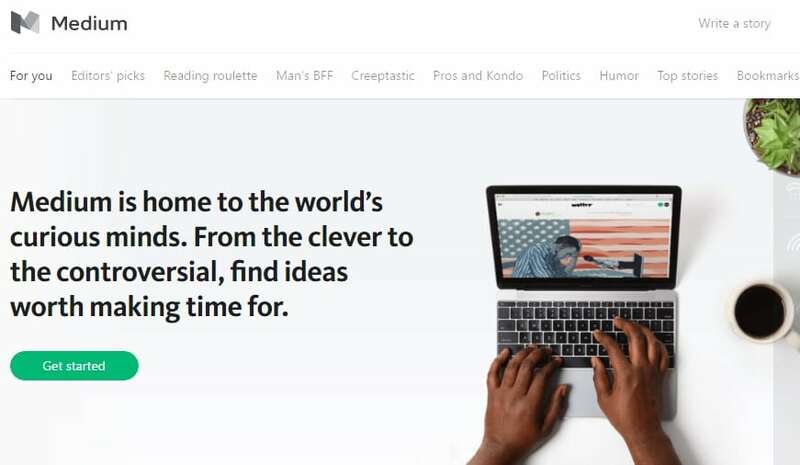 Simplicity is one of the features that make SquareSpace a viable alternative to Tumblr. Besides, you have the benefits of hosting, inbuilt SEO, Analytics, and Customization. 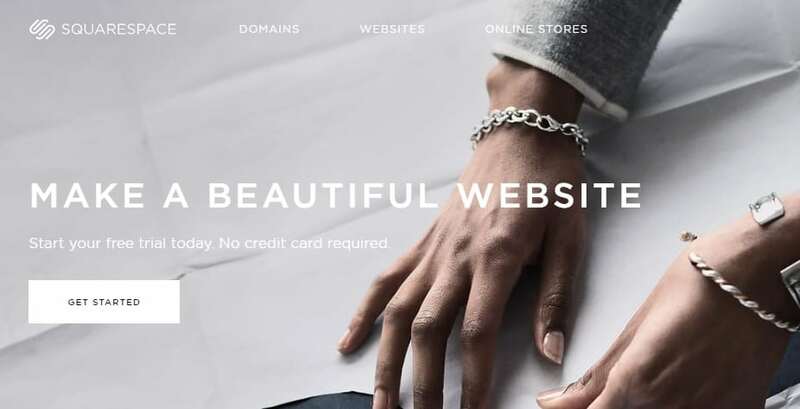 You can also connect SquareSpace with products like G Suite and get the job done easily. Another popular site like Tumblr, Medium is a choice for those who love minimalism. It does not give you the options of design or customization. Instead, you can publish content with basic formatting. Indeed, it’s giving importance to what is written than how things are shown. At one aspect, Medium articles are just excellent and quite readable. You won’t have to adjust the code or anything to get your words published. We do recommend Medium only if you are a serious blogger. And, mind that your words and identity will be taken seriously. In short, a minimal-yet-powerful alternative site like Tumblr. Ghost is one of the few blogging platforms that are user-focused. It does not provide many features or option for customization. That having said, in the end, you will have an excellent place to share your content. It’s has a WYSIWYG Editor for writing and publishing. However, you cannot compare Ghost and Weebly. It isn’t a fully-fledged website builder. But it is surely one of the minimal alternative sites like Tumblr. If you think Tumblr is too colorful and messy, you should choose Ghost. Despite its simplicity, you can integrate your Ghost-powered blog with many popular services. You can get a .ghost website for free, but there are premium ways of blogging too. Wix is another all-in-one website building platform for almost everyone. When compared to Tumblr, it can offer full new possibilities. First of all, you can create almost any type of website — be it a travel blog or a fully-fledged online shopping store. In all these instances, Wix offers satisfactory integration with many apps and services. Of course, there are free and premium versions of the service. In the free version, you will be restricted to the .wix.com domain name and 500MB of storage space. That having said you could create as many pages as you like. Were you trying to create a business website using Tumblr? Well, you have been doing it wrong. That is why you need to check out Strikingly, which is a Tumblr-like website for specific requirements. Strikingly comes with a vast collection of templates and modules. Depending on the type of business site you need, you can bring in essential features. For instance, the Editor is too cool for every businessperson out there. And, it does not require any technical knowledge. Additional features like Social Feed, Analytics, and Domain Name Support are worth what you are paying. For business users, it’s the best alternative sites like Tumblr. 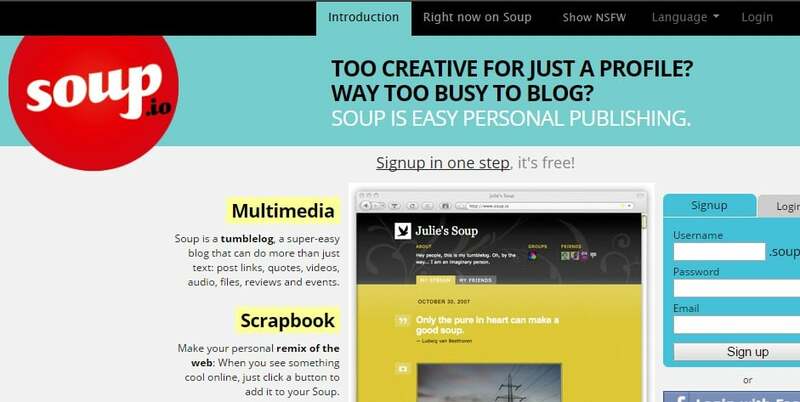 Soup is one of the best picks when you need a creative blog. It also happens to be one of the perfect alternative sites like Tumblr on the internet. When you need something that stays between a blog and a website, you’d be satisfied with the features of Soup. It’s quite easy, thanks to the features like Scrapbook, Life-Stream and all types of other multimedia. You also have options for Friends View, custom domain name inclusion, and group setting. On top of all these, Soup is completely free to use. You can go for Soup if you are looking for optimal simplicity. If you need a simple blog for an affordable rate, Posthaven is the perfect pick. By paying just $5 a month, you’ll have the benefits of lifetime accessibility, hosting and the quality-assurance from the company. You might not find any fancy features, but one thing is sure: Posthaven will never be shut down or acquired. So, that’s some serious type of assurance from the company and developers. You can send your posts via email, and you will get the published post links from Posthaven. It has the ultra-simple working method, and there aren’t many options for customization, either. So, these are the best alternative sites like Tumblr you’ll find on the Internet. Some of these are offering more than that of Tumblr, while others are ultra-simple. Depending on what you need — better customizability of the effect of simplicity —, you can pick one from these sites like Tumblr. Talking about our personal preferences, we like Ghost a lot, due to its simplicity. At the same time, we think Weebly and Soup can be the perfect alternative choices for Tumblr on a general overview. Previous: TRP Guides: How to Change IP Address in Windows? Next: TRP Guides: How to Find Someone on Instagram by Name?